When there’s either too much or too little moisture in the air circulating in your home, you can run into a whole host of problems. Whether it’s mold on the walls from the damp, or cracking paint from air that’s too dry, humidity problems can do damage to the structure of your home and can even result in health issues. 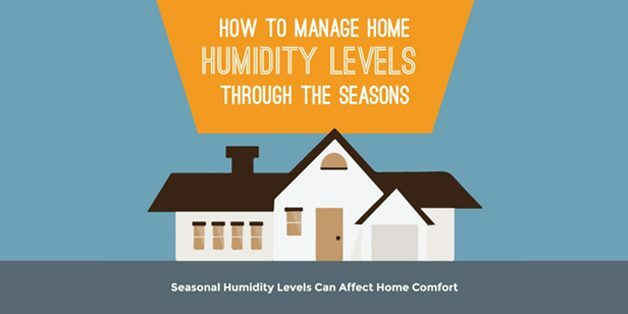 So, how can you tell if you have a humidity problem, and what can you do to resolve it? Too much humidity: You’ll notice fogging and condensation on your windows, as well as surfaces feeling damp to the touch. You may also see mold growing on walls, ceilings and window frames. Too little humidity: You’ll experience static electricity fairly often, and you’ll also notice dried and cracking paint and millwork. To ensure moisture levels remain balanced in your home, you can find affordable humidity monitors online or at your local hardware store. These will give you a reading and help you keep track of how your humidity levels may fluctuate over time. Check ventilation is not blocked. Inspect ventilation points in interior and exterior parts of your home for any blockages. Buy a dehumidifier. Switching on a dehumidifier for a few hours a day will remove much of the moisture building up in the air. Open windows. When the weather permits, leave your windows open a crack to let damp air out. Reduce condensation in the air. Keep pots covered when cooking, line dry clothes outside as often as possible and minimize the number of plants in the home. Dry clothes inside the home. This is a straightforward step to help release moisture into the air. In winter, simply placing a damp towel on a radiator will help keep the air humid, too. Invest in a humidifier. A variety of humidifiers are available online and at hardware stores. Keep a humidifier turned on and it will automatically maintain the correct moisture level in the air. You don’t have to put up with a home that’s too damp or too dry. By observing these simple tricks, you can fix problems fast and enjoy air at the correct humidity level in your home year round.